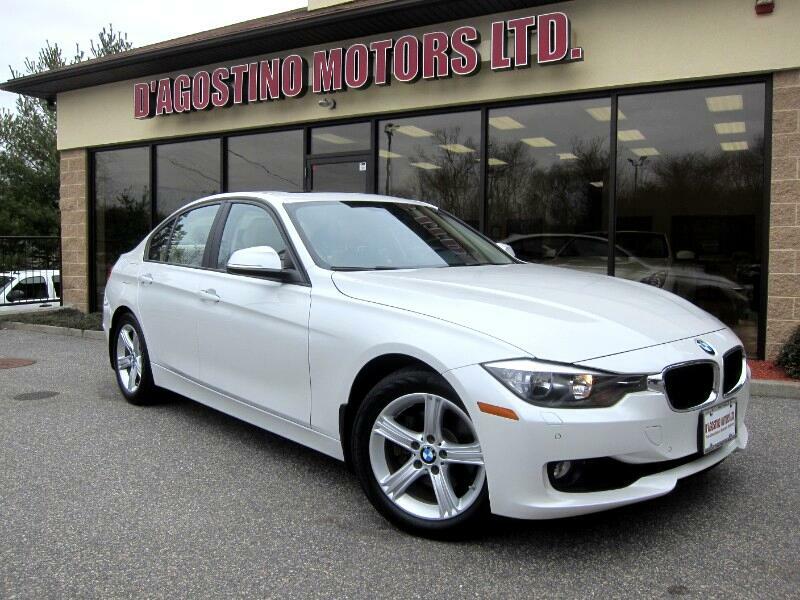 Used 2013 BMW 3-Series 328i xDrive Sedan for Sale in Smithfield RI 02917 D'Agostino Motors Ltd. IT JUST DOSEN'T GET ANY NICER THAN THIS !!! DON'T HESITATE ON THIS ONE !!! IT IS THE RIGHT COLOR !!! IT HAS THE RIGHT EQUIPMENT !!! THIS ONE HAS NAVIGATION ,HEADS UP DISPLAY , PARKING DISTANCE CONTROL , BLUETOOTH PHONE CONNECTIVITY +USB DEVICE , POWER HEATED LEATHER SEATS , HEATED REAR SEATS , SATELLITE TUNER , MULTI FUNCTION STEERING WHEEL , HEATED STEERING WHEEL. Come Experience the D'Agostino Difference! We Go Through our Vehicles with a Fine Tooth Comb from All Mechanical Aspects to an Extensive Reconditioning and Detailing Process, Expect to View the Cleanest Vehicles in New England Guaranteed !!! Message: Thought you might be interested in this 2013 BMW 3-Series.